The prestigious San Francisco-based Stupski Foundation awarded Disability Rights Legal Center’s End-of- Life Liberty Project (ELLP) an additional $300,000 to support its advocacy work to expand the rights of mentally competent, terminally ill patients at end of life. In 2015 Stupski awarded the ELLP $100,000 which enabled ELLP to continue its cutting-edge advocacy on behalf of seriously ill and dying patients. ELLP and Stupski believe that every patient has the right to palliative care, attentive and aggressive pain and symptom management and, if desired, aid in dying. A barrier to aid-in- dying has been the widespread assumption that antiquated laws prohibiting “suicide” and “assisting suicide” may apply to physicians providing a competent, terminally ill patient with a prescription for medication to achieve a peaceful death. ELLP asserts such laws do not properly reach this medical conduct because the choice of a dying patient for a peaceful death is starkly and fundamentally different from “suicide.” This claim is advanced in a number of cases in which DRLC is involved, including Myers v NY and Brody v CA. These cases also, alternatively, assert that the choice of a dying patient for a peaceful death is deserving of protection under constitutional guarantees of privacy, liberty and equal protection. To read more about these cases visit this link. 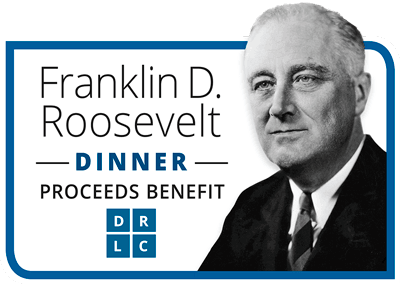 DRLC is a cross-disability civil rights organization that champions the rights of people with disabilities, cancer and terminal illness through education, advocacy and litigation. For more information on DRLC and its three programs: Disability Rights Advocacy Center (DRAC), Cancer Legal Resource Center (CLRC) and End-of- Life Liberty Project (ELLP), go to www.drlcenter.org. Inspired by Joyce Stupski’s vision, the Stupski Foundation continues its dedication to improving the lives of people in California and Hawaii by significantly addressing the following issues: ending hunger, dramatically improving the life outcomes of poor and minority children, and fundamentally changing options for end-of- life care. It also provides support for organizations of local Californian and Hawaiian communities that fall outside of its three funding areas. The Foundation believes that vibrant civic organizations are critical to the success of every community member.